The migraine attack I’m in the middle of is mild. The pain is a 3, I’m only moderately fatigued, and my cognition is not impaired. Since those three symptoms are usually the most disabling for me, I should be able to do the work I woke up eager for. Except blurred vision has decided to make an appearance during this attack. Blurred vision is a common part of the visual aura that precedes the pain phase of a migraine attack. A year ago I learned that it can also occur any time during the attack. This became intimate knowledge after blurred vision suddenly added itself to the constellation of migraine symptoms I might experience. It doesn’t happen to me a lot, but is quite pronounced when it does. It’s one of those symptoms that cannot be relieved and there are few workarounds. Driving is out, so is looking at my phone. The computer is nearly impossible to read. When I magnify the text enough that I can read it clearly, it throws off the formatting, thus making it hard to read for a different reason. Fortunately, my e-reader on the largest print setting (which is about five words a page) lets me lose myself in books. Since the migraine attack is otherwise not too bad today, I’m going to try to put a coat of stain on drawers I’m refinishing. 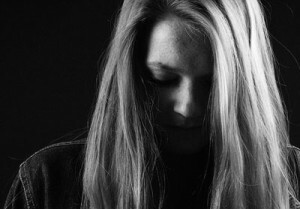 I had migraine for many years before I realized that I was experiencing more than a headache. Now the other symptoms are so prominent that I can barely see past them. Yes, they literally blur my vision, but they also interfere with my life more than the one symptom that everyone associates with migraine does. Even with all my migraine experience, the depth and breadth of non-pain symptoms continue to astonish me. 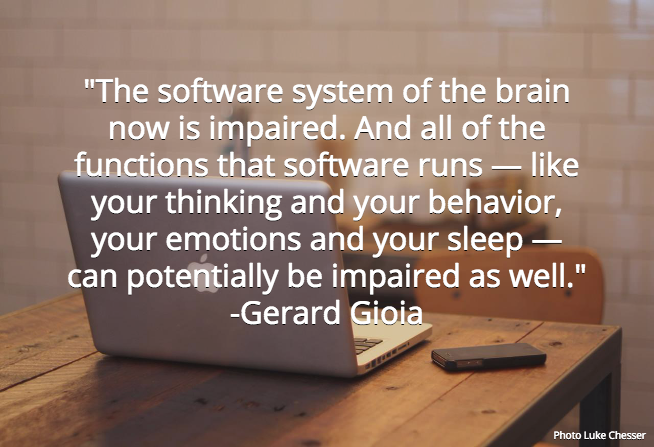 “I often say that the software system of the brain now is impaired. 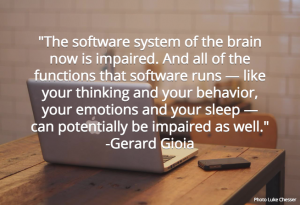 And all of the functions that software runs — like your thinking and your behavior, your emotions and your sleep — can potentially be impaired as well.” Although neuropsychologist Gerard Gioia was talking about the brain’s recovery following a concussion, it’s an excellent metaphor for migraine. I’ve often said that my brain function is at 30% (or some other percentage) during a migraine attack. I’m not confusing mind and brain here (though my mind malfunctions, too). Every bodily function that the brain directs works less effectively than usual during a migraine. You become clumsier, maybe dropping things or walking into walls. Thinking is impaired, so it can be difficult to find words, make sense of written language, or understand what someone else is saying. You may experience vision changes, like blind spots, seeing flashing lights, or blurred or double vision. Your mood swings can be so substantial that you’ll wonder where all this emotion is coming from. Sleep may be impossible or unavoidable. You might even perceive objects—including your own your limbs—to be larger or smaller than usual (Alice in Wonderland syndrome). These (and many other) symptoms are familiar to people with migraine, but it’s hard to explain it to people who don’t have migraine. Perhaps the software metaphor will make this weird illness called migraine easier to describe. I’m curious to hear from those of you who have cluster headache, NDPH, tension-type headache, or another headache disorder—do you also feel like your brain is malfunctioning?